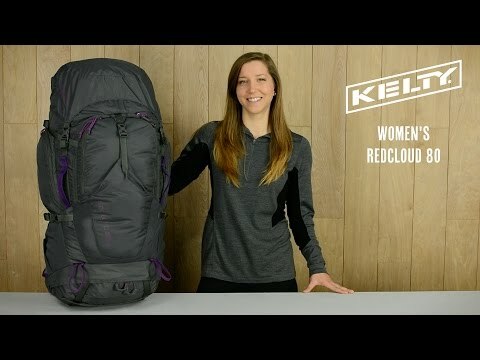 There's a reason why the Redcloud has been in the Kelty line and a favorite for women for years. A perfect blend of load carrying capacity, comfortable suspension, custom fit, simplified organization, and durable construction make this load hauler the only pack you'll need for extended backcountry adventures. 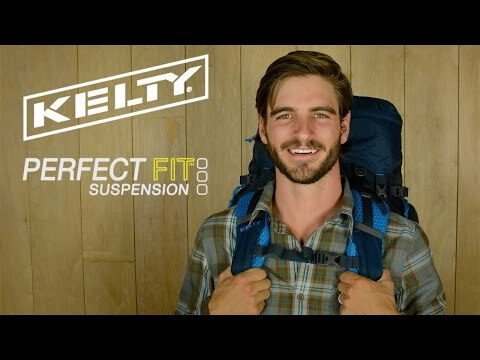 PerfectFIT™ suspension is designed to be fully adjustable to fit your torso length and carry a heavy load, and the shoulder straps and hip belt are custom-designed for a women's body to provide unmatched stability and comfort on the trail. The Women's Redcloud 80 is super easy to load with the top loading design and sleeping bag compartment, but you won't have any issues finding what you need with the front-panel access and zippered side pockets. No need for an extra day pack - the lid of the pack also converts into a sling pack. Bonus! Hydration and snacks won't be an issue either with its hydration compatible design and hip belt pockets for small items. The LightBeam™ dual aluminum stays are connected to the hip belt providing direct load transfer while the anti-barreling stays keep the scapula pad flat--even if the pack is overloaded. The HDPE-reinforced, dual density waist belt improves load-support and enhances overall carrying comfort as well while the dual positions for load-lifters straps keeps the pack weight from shifting. Finally, the AirMesh shoulder straps, waist belt, and lumbar pad are designed to keep air moving through and keep you comfortable all day. Hip belt can be removed. For hikers who demand excellence and durability at an affordable price, the Redcloud 80 women's pack delivers. I will recommend this pack to anyone!! !